TransPro Senior Consultant Dan Suraci, AICP, was the principal author and transit agency workgroup facilitator for the American Public Transportation Association’s (APTA) latest addition to its standards development program: “Bicycle & Transit Integration: A Practical Transit Agency Guide to Bicycle Integration and Equitable Mobility.” TransPro’s Suraci is a leading expert on enhancing mobility for transit customers and augmenting the scope of conventional modes (bus, rail, ferry, etc.) with active transportation. Suraci led participants from more than 30 public transit agencies and advocacy groups across North America including the Bay Area Rapid Transit (BART), the Washington Metropolitan Area Transit Authority, NJ TRANSIT, Metro Transit, Regional Transportation District, King County Metro, Sound Transit, New York City Transit, San Francisco Municipal Transportation Agency (SFMTA), Cap Metro, Utah Transit Authority, the League of American Bicyclists and more. 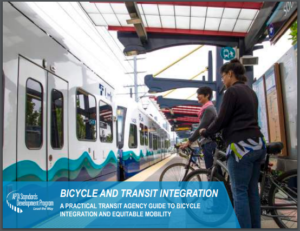 The best practices, hands-on case studies and decision frameworks deliver specific strategies to illustrate how and why transit agencies benefit from bicycle integration highlighting a wide array of subjects. A key tenet of Suraci’s work includes efforts to explore populations that could bike to transit given the right combination of infrastructure, education and incentives. 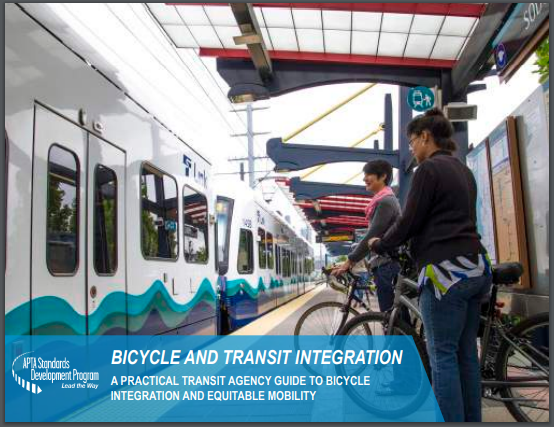 Click here for the PDF Bicycle & Transit Integration guide and is available for free here.